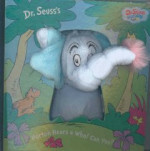 Dr. Seuss's Horton Hears a Who! Can You? , Book Principal - New England's largest school paperback distributor. Dr. Seuss's Horton Hears a Who! Can You?